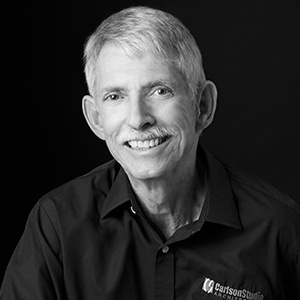 Peter has been practicing in the field of architecture for more than 35 years. Peter began his career in Binghamton, New York, where he was the architect of record for a wide variety of projects, with a focus on Medical Facilities, Senior Living Complexes, Assisted Living Facilities, and Nursing Homes. Peter was the Architect for one of the nation’s first Adult Day Care facilities located in New York City, designed specifically for Alzheimer’s patients, as well as the conversion of nursing homes and Independent Senior Living Centers to Alzheimer’s Care facilities. He also created one of the first Birthing Centers, and Cancer Treatment Centers. In Florida, he has been a leader in the field of hospice facilities since 2006, assisting AHCA in the development of the FBC Section 437 for Inpatient Hospice Facilities. Peter is a licensed Commercial Building Inspector and Plans Examiner and as such acts as CSA’s “code expert.” He is also a LEED AP with more than ½ dozen LEED Silver & Gold certified projects as the Project Manager. He is expanding his commitment to sustainable architecture through his studies to become a “Well AP” to design buildings that not only sustain our environment, but enhance the health and quality of life of the inhabitants. Get Peter on your team today!